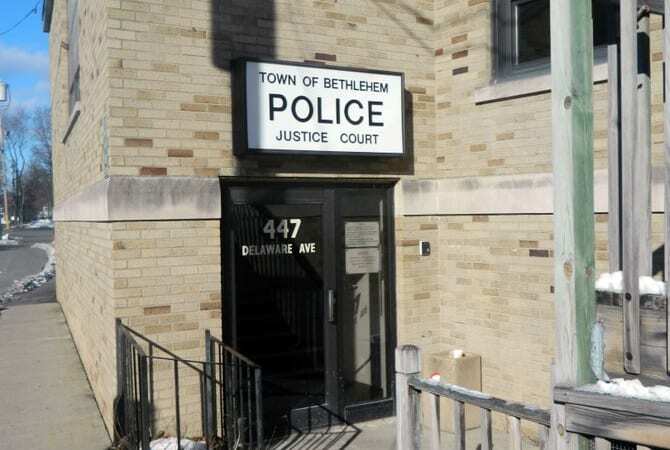 BETHLEHEM — A police officer has been named in the sexual discrimination, harassment lawsuit against the town. In the suit, Caitlin Dole, 25, of Glenmont, alleges that Craig Sleurs, 49, of Delmar, repeatedly sent harassing and threatening emails and voicemails to Dole, and supervisors did nothing about it after Dole reported it. The persistent harassment interfered with her ability to do her job, says the lawsuit, filed with the U.S. Equal Employment Opportunity Commission (EEOC). She is seeking $250,000 in compensatory damages and another $250,000 in punitive damages. Her charges were initially dismissed by the EEOC, but she is seeking further litigation in state court. Caitlin Dole, only the third female police officer ever to serve for the Bethlehem Police Department, resigned and filed the lawsuit in May. Dole was hired in January 2014, completed police academy and additional Bethlehem Police training, and then ultimately served as an officer for three months. The status of her relationship with Sleurs during that time is currently unknown. Dole now works for a police research association associated with University at Albany. Dole grew up in Glenmont and graduated from Bethlehem Central High School in 2009 after a successful basketball career. She attended the University at Albany and has a bachelor’s and master’s degree in criminal justice. Sleurs, also the assistant chief of the Slingerlands Fire Department, has been on sick leave from the police force since last April. “Caitlin Dole was always a very young, articulate, educated police officer that did her job in utmost capacity. When she left it was a surprise to everyone. I would have liked her to stay a police officer for her whole career,” said Mike Berben, president of the Bethlehem Police Benevolent Society (PBA), the union representing the department’s 28 officers. As well, “Investigator Sleurs is now, and was then, in good standing with the union, and Officer Dole was in good standing with the union at the time of her departure,” he said. The PBA has not been contacted to represent either party in regards to the suit, and Berben said the lawsuit is a non-union event, and could not speak on the matter specifically, as the lawsuit is still in litigation. “The Town of Bethlehem cares very much about ensuring a non-hostile workplace environment that supports a highly effective and diverse workforce,” said Supervisor John Clarkson, who also chose to not speak on the lawsuit, given that the matter is in litigation. “When we received Officer Dole’s resignation in May 2015, Bethlehem Police command staff and our Director of Human Resources discussed with her the reasons expressed for leaving and tried to address those concerns. We asked her to consider remaining on the Force.” Berben, as well, said the union asked her to reconsider. Since Dole’s resignation, the town has taken on recruitment efforts to attract female police officers. As of today, there are three women police officers in the employ of the Bethlehem Police Department. In addition to Detective Sergeant Gina Cocchiara (promoted in October 2015), two women were hired as Police Officers in January: Kristen Spinnato, 25, of Watervliet and Yekaterina (Kate) Dickerson, 28, of Slingerlands. Spinnato and Dickerson were hired in December, alongside Michael Walsh, 26, of Wynantskill. The new hires brought the police force to 39 officials. As police officers are town employees, their non-harrassment policy is the same as every town employee’s. “The Town will not tolerate misconduct, and any employee or official violating this policy will be subject to appropriate disciplinary action, including discharge. Any employee or official who receives a complaint and does not act on it under the procedures of this policy will also be subject to discipline, including dismissal,” reads the policy. 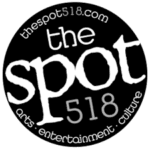 Procedure dictates that the individual state their objection to the person harassing them, then complain to either a supervisor or the town’s human resources department. Contractually, after a year of sick leave, the police chief reevaluates an officer’s ability to continue on the force at an officer capacity, and Sleurs could be reassigned to a desk position. Sleurs graduated from Bethlehem Central High School in 1985. Dole and her lawyer Daniel Maloy, of the De Lorenzo Law Firm in Schenectady, declined to comment for this story.